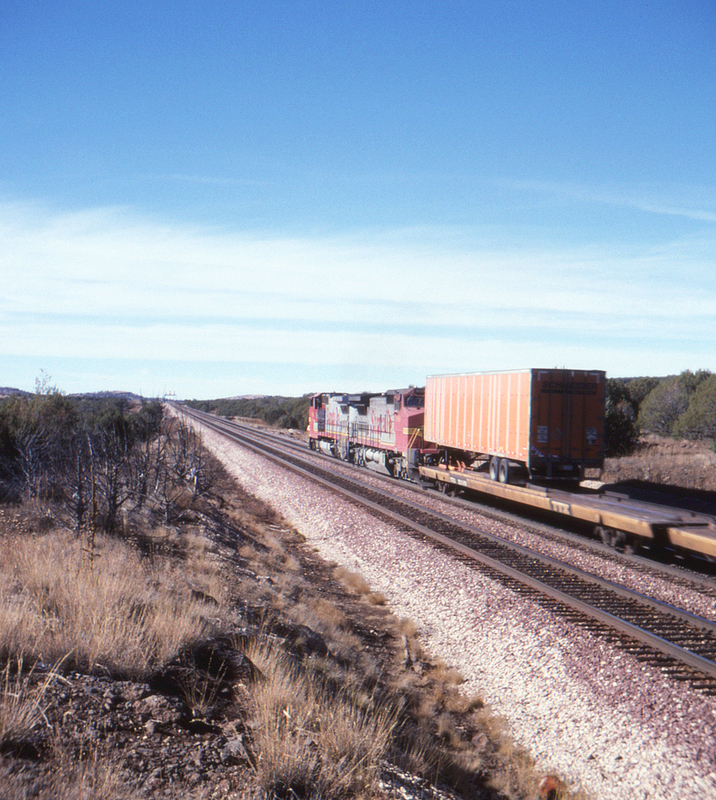 One of the largest railroad construction projects in the United States during the latter half of the twentieth century was the Santa Fe's Crookton Cutoff, which bypassed severe grades between Crookton and Williams, Arizona. The western end of the cutoff began just east of the former Route 66 highway bridge (now part of Arizona State Route 66) with a pair of interlockings known as East Crookton and West Crookton. Here looking west towards Seligman the signal bridges for East Crookton are visible in the distance as a westbound freight with two units wearing the classic warbonnet scheme pass the camera.